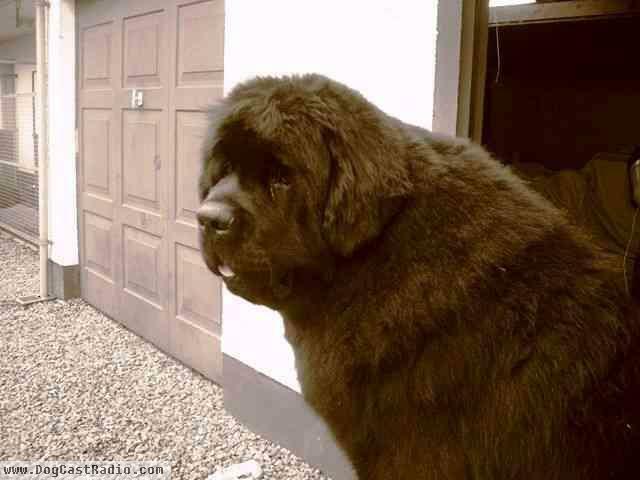 The Newfoundland is a large dog, well muscled and heavy of bone. The skull is broad with an arched crown and pronounced occiput; ears are set on the side of the head and are small and triangular. Eyes are wide apart and deep set, small and dark brown in color. 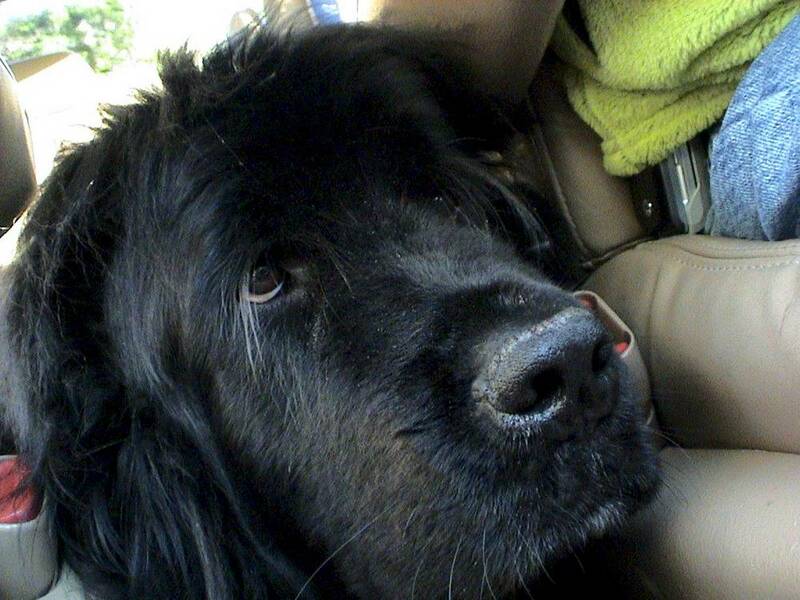 The Newfoundlands expression is soft, kind and proud. 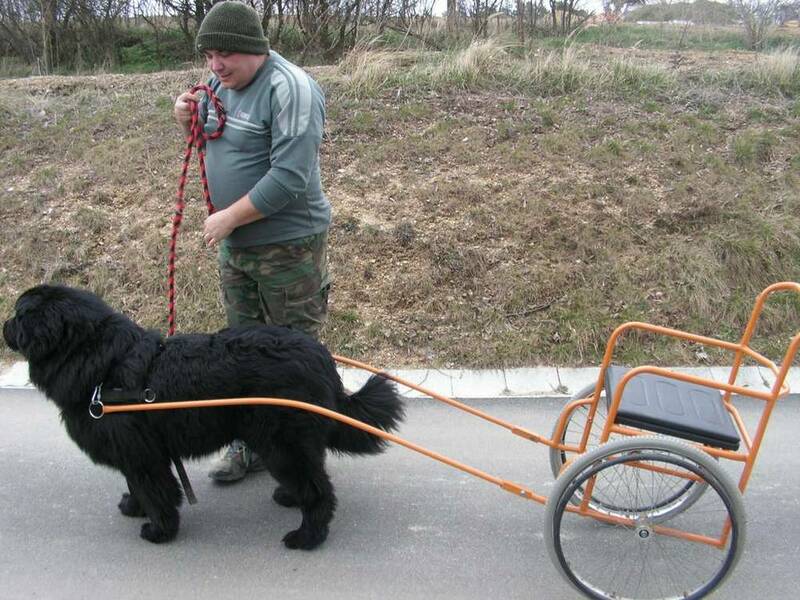 Every part of the Newfoundlands body and carriage convey power and strength. Neck, back and legs are strong enough to pull a drowning man from the water, and webbed feet also add to this dogs swimming abilities. The tail is broad at the base and carried either low or out, but never up. 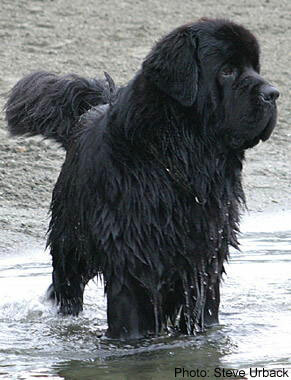 The Newfoundlands outer coat is water resistant, coarse and either straight or wavy; the undercoat is dense and soft. Coloring is black, gray, brown, and Landseer (black and white). Common Misspellings New Found Land, Newfound Land, or Newfundland. 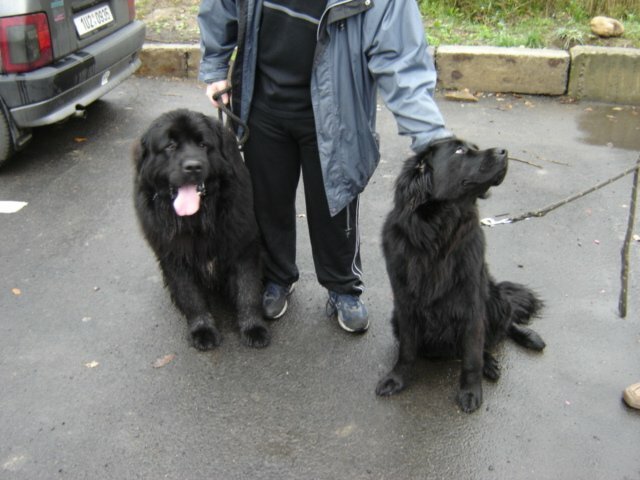 Newfoundlands are friendly to dog, cat and stranger alike, and are especially fond of children; these dogs form deep connections to their family and can become depressed if separated from their loved ones. The Newfoundland is a playful dog, though it should never be rambunctious or hyperactive; gentleness and easygoing amiability are the Newfoundlands forte. The Newfoundland is often referred to as a gentle giant, and though this is true the vast majority of the time, the dog can also make a powerful guardian if it perceives that its family is being threatened. Walking, jogging, retrieving, pulling and swimming are its favorites. The coat should be combed twice a week, and requires more attention when shedding. Take care that your Newfoundland has shelter on warm days, and do not leave a Newfoundland outside except in cold or moderate climates. Living inside with its family is a great boon to the dogs mental development. 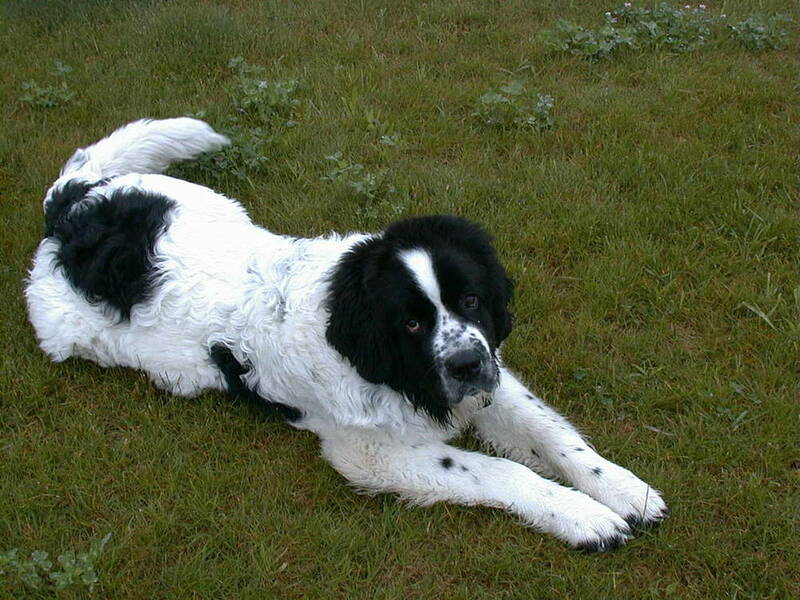 Major health concerns for the Newfoundland include canine hip and elbow dysplasia, bloat (gastric torsion), subvalvular aortic stenosis, and cystinuria. Minor concerns include cruciate ligament rupture, ectropion, entropion, cataracts and von Willebrands disease. 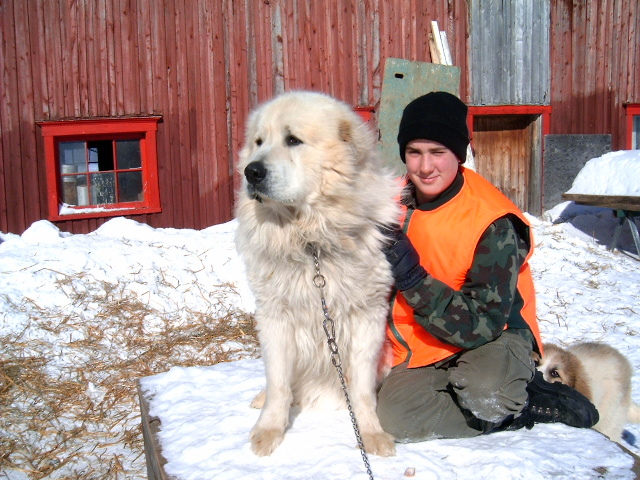 The most popular theory is that the Newfoundland descends from Great Pyrenees dogs introduced to the island of Newfoundland by Basque fishermen during the 17th century. Others claim that the French Boarhound is the primary descendant. Crosses between Pyrenees and black English setters, and possibly Huskies, are also thought to have been part of the breeds development.By the 18th century, the Newfoundland had established a reputation for itself as an accomplished all purpose water dog, lifeguard and draft animal. The English were thoroughly impressed with the animal (especially with its great skill in rescuing drowning men) and began to import them in great numbers. This, along with restrictions placed on ownership of the dog on its native island, led to depressed numbers of the breed in North America during the 19th century. 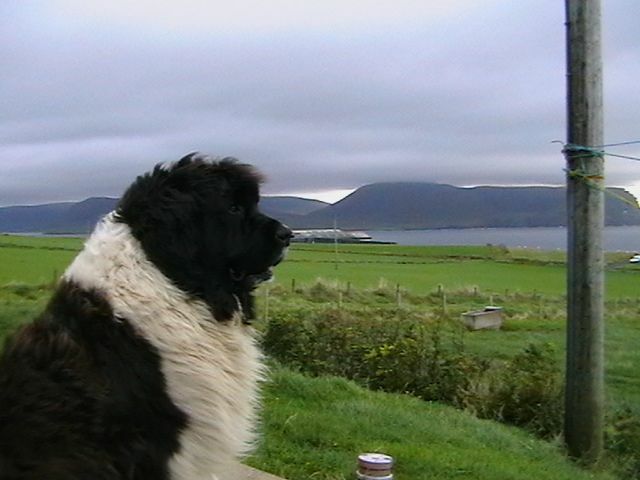 England became the worlds Newfoundland capital and began exporting the animals back to America, which was fortuitous since World War II largely wiped out the breed in England. 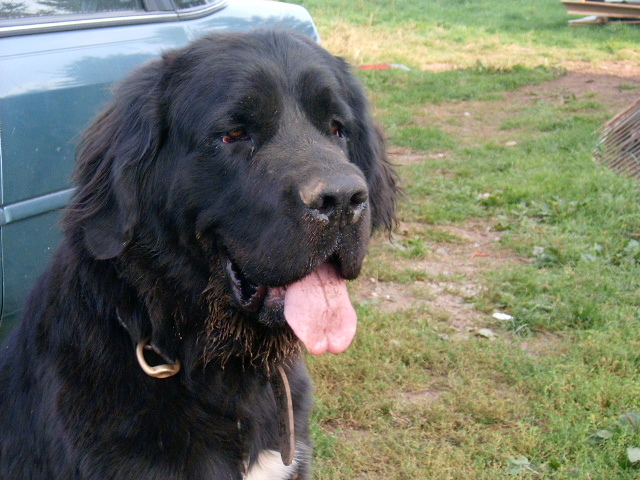 Today, the Newfoundland is present in strong numbers in both the United States and England, and is among the most popular of the giant breeds. The Newfoundland was recognized by the American Kennel Club in 1886.